It's morning at the Tsukino family residence and a woman is cooking breakfast in the kitchen. Surprisingly that woman turns out to be Usagi who is up early and practising her cooking skills. Ikuko (Usagi's mother) and Luna in her human form then enter together and say good morning to Usagi and sit down at the table. Usagi, while cooking begins to reflect on where everyone is now, four years after their final battle. Ami has become a doctor and is working somewhere in North America while Rei has moved to the mountains of Kyoto to further develop her mystical powers. Makoto his started her own business as a florist and Minako's popularity has spread world wide and she has just accepted an award on tv (Artemis with her) making her the first Japanese artist to become so famous. Usagi then looks at the kitchen clock and realises that she's late! She gives Luna and Ikuko their half cooked breakfast and runs off to meet Mamoru. Usagi then announces to the viewer that she and Mamoru are getting married! Usagi drags Mamoru around numerous shops and begins to become very excited over planning their wedding which is apparently just a week away. Mamoru, a little fed up, tells Usagi that they're not just getting married for the ceremony. This makes Usagi very angry. Elsewhere, Makoto is looking at flowers with Motoki for Usagi's wedding. Motoki tells Makoto that Usagi and Mamoru are getting married rather quickly. Unfortunately, Makoto agrees with him. He then suggests that getting married quickly is more Makoto's speed. Suddenly, Makoto gets a call from Usagi who tells her that the wedding is off! Makoto and Motoki immediately go to meet Usagi and Mamoru for lunch. Makoto talks to Usagi inside, while Motoki hangs with Mamoru on the patio. Usagi tells Makoto what Mamoru said but Makoto isn't impressed. Usagi, trying to cheer herself up orders a huge serve of creams cakes and tells Makoto that she can eat as much as she likes because she doesn't have to wear a wedding dress now as she chows down. Almost immediately though, she begins to feel sick and runs away to the toilet. Outside, Mamoru is telling Motoki that he's finding the whole wedding planning tiring and that if it's going to end he just wants it to end. As luck would have it, Usagi had come outside at that very moment and heard what he said and yells at him. Mamoru tells her to stop being and idiot to which she replies that he's an idiot. Mamoru begins to smile at this familiar exchange, but Usagi's not amused. She takes of her ring, slams it down on the table and yells at Mamoru that she's calling off the wedding for real. That night as Usagi sleeps, Luna prays to a mystery person on the Moon. Suddenly we're shown a shot of a healed Moon Kingdom as a bright light radiates from the palace and shoots into Usagi's room. A small woman appears bearing a crescent moon symbol on her forehead. Luna welcomes Queen Serenity, Usagi's mother and tells her how worried she is over the wedding being cancelled. Queen Serenity tells Luna that the Prince and Princess' love had been on hold since their past life and that it won't hurt to wait a little more and see how things pan out. Queen Serenity then informs Luna that she has sensed a strong evil presence rising and that they should all be careful. Luna tells Queen Serenity that this is terrible because since the Imperium Silver Crystal was destroyed, none of the girls can transform into Sailor Soldiers! Usagi then begins to wake up due to Luna's panic and groggily stares at her. Queen Serenity then looks fondly at her daughter and disappears in a sparkle of gold. The next day, Luna in her human form begins her search for the evil presence and tracks it down to a remote building. She then senses someone near her and yells for the person to reveal themselves. The other person turns out to be Rei who had also sensed the evil and had come to investigate. Together the begin to search the building but are quickly stopped by a massive energy spike on the far side of the room. Rei rips off her suit to change into her Shinto garb and tells Luna to get behind her. The energy begins to grow larger and then releases a powerful blast which blasts Rei and knocks her out. Luna cries out her name and runs to her. On the other side of the room, a woman stands and smiles a familiar evil smile. That night at the theme park, the woman reveals herself to be Mio! She strolls through the abandoned park and picks up a broken stuffed puppy. She calls it "Chuppi" and uses her magic to heal it. She then transforms the whole building into a new, twisted "Dark Kingdom" and creates an army of clown Youma and two powerful Youma called "Sword" and "Shield". Elsewhere, Usagi hears what happened to Rei and begins to run to the hospital where she's being treated. Suddenly a nearby public monitor's signal is interrupted as Mio begins to broadcast a message nation (possibly world) wide announcing that she has returned and will be the new Queen of the Earth. She continues to tell everyone that her Youma will collect everyone's energy and asks that everyone be good and not fight it. Clown Youma then begin to appear all over the place and after some humorous clowning around begin to violently drain people's energy. Usagi manages to save a young girl but can't do anything else as she can no longer transform. As a Youma moves towards her with a sword she is luckily saved by Tuxedo Mask! Tuxedo Mask fights off the Youma and tells Usagi to get back as she can't transform any more. Usagi begins to argue but they are both then blasted by the return of the four generals! Jadeite, Nephrite, Zoicite and Kunzite move in on them and tell them that their new queen wants to see them. 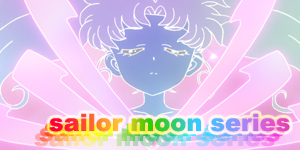 All four of them then surround Usagi and Mamoru in a forcefield and then teleports them and themselves away. Sailor Luna arrives on the scene too late and manages to see them taken. She informs Makoto, Ami, Minako and Artemis of the situation. Ami and Minako immediately decide to return to Japan while Makoto goes over to her house to meet Luna. In the new cute dark Kingdom, Mio has Mamoru and Usagi in chains and explains her plan to become the queen of the planet and that she's fine for energy now, she just needs one more thing... a king! She then teleports Usagi and Mamoru elsewhere while she gets ready. In their new prison cell, Mamoru says that women everywhere are the same, they only think about having a wedding. Usagi tells him not to place her in the same category as Mio. They sit in silence. At Makoto's house, Makoto is getting restless and tells Luna that people everywhere are being attacked and that she has to do something. Suddenly Queen Serenity appears and tells Luna that she didn't think the situation would get this bad. Makoto tells her that they can't transform but Queen Serenity tells her that she will solve that problem by sending a powerful sword from the Moon Palace to Earth that will empower those who are soldiers if their hearts are one. Makoto and Luna, now in human form, get in Motoki's car and drive to where the sword has appeared. Back in the cell, Jadeite and Nephrite appear and announce that they've come for the groom. Usagi attacks one so Mamoru can escape but funnily enough he has done the same thing. Mamoru then yells at Usagi to go and slips her engagement ring into one of her pockets as she takes his advice and runs out of the room. Outside, Usagi remembers how Mamoru proposed to her on Tokyo Bay overlooking the Rainbow Bridge where they had promised each other that they would not let the world be destroyed back in Act 32 and realises that she was the one that had forgotten why they were getting married, not Mamoru. She then begins to use the engagement ring to cut the handcuffs and promises herself that she will free Mamoru. Meanwhile, Makoto and Luna have arrived at the sword but have found it embedded in a giant rock that they are unable to remove it from. Suddenly a hige group of clown Youma appear and begin to fight them to get the sword. Makoto seems more than able to defend herself and Luna, in her Sailor Luna form also manages to fight off quite a few. Ami meanwhile has arrived in Japan and is being taken to where Makoto and Luna are. Suddenly the car she's in stops and Ami sees up ahead a gang of clown Youma. The driver begins to panic and runs away. Ami, takes the initiative, jumps into the drivers seat and ploughs through them. Just when she thinks she's safe though, one of the powerful Youma, Sword appears. Minako and Artemis also run into trouble on their way as they are attacked by another group of Youma. While Minako's two bodyguards are taken out by the Youma, Minako manages to defend herself and intimidate the clowns so much that they let her go. Suddenly the second powerful Youma, Shield appears and prevents them from leaving. 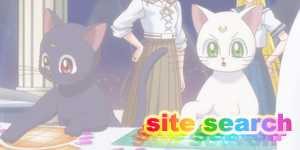 At the sword site, Makoto and Sailor Luna have become surrounded by an army of clown Youma. Suddenly a group of them are blasted by a fire extinguisher. A mysterious clown Youma steps forward and removes it's mask. It's Ami! As if on cue, Minako then arrives on a motorbike she had stolen from the clown Youma that attacked her which she rams and wheelies into the group of clown Youma, destroying them. Ami, Minako and Artemis appologise for being late and they all walk up to the sword utop the mountain. Ami wonders if it will work without Rei with them, but Minako tells her that Rei's heart is with them. As they all grasp the hilt a mystical window opens up in Rei's hospital room which Rei reaches towards, lending her team-mates her energy. 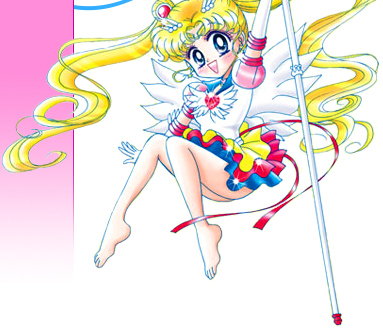 Usagi, no free of her handcuffs also senses everyone's energy and doubles her promise to free Mamoru. Minako, Makoto and Ami remove the sword and hold it up high as lightning and energy bounces off it and spreads to all three of them. In the Dark Kingdom, Mio tells Mamoru that he will now marry her and that it will be fun. She waves her wand that releases a strange purple energy that blows towards Mamoru, hypnotising him. In a trance, Mamoru nods his head and begins to walk down the isle with Mio. Usagi then enters and yells out Mamoru's name just as they're about to kiss. They stop and Mio gives Mamoru a sword and orders him to kill Usagi. Mamoru throws the sword at Usagi but it misses her and cuts a cable holding up a curtain which falls on the four generals. Mio is furious and asks why. Mamoru tells her that Usagi yelling out his name snapped him out of it. He then grabs Usagi's hand and the two of them escape with the four generals in pursuit. Mio is outraged and promises revenge. As they run through the nearby forest, Usagi and Mamoru are stopped by the four generals. Surprisingly they are in turn stopped by the arrival of the real generals who quickly defeat the imposters. Mamoru tells them that they took their time helping them and that he knew the other ones were imposters all along. Jadeite, Nephrite, Zoicite and Kunzite then lend their power to Mamoru to help him transform into his Endymion form and the five men then make short work of the clown Youma. Separated from his generals and Usagi, Mamoru is confronted by the Sword and Shield Youmas. They prove incredibly strong with one blocking all the attacks and one retaliating. Eventually, Mamoru is captured by Shield and help as the Sword Youma strikes. Mamoru cleverly slips out of the way though and the Sword Youma accidentally kills Shield. Mamoru then draws his sword and finishes of Sword. The four generals walk up to Mamoru and congratulate him but all five are then blasted by Mio who arrives and transforms into a huge green monster. Mamoru is grabbed by one of the tentacles and almost eaten but Zoicite, seeing his master in danger leaps into action and cuts off the tentacle. Mio, furious moves in to eat Mamoru with one of her main claws. Usagi, runs between them and tells Mio to stop this. Mio tells Usagi that there's no way she'll let her above anyone else be happy and moves closer to kill Usagi. Luckily Minako arrives holding the sword and cuts off Mio's claw. Ami and Makoto are with her. Minako announces that today only the four of them can transform and hold the sword above her head as it glows. On each of the girl's arms, their transformation items appear one by one. 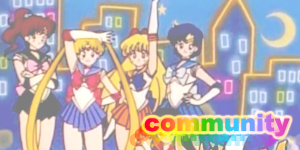 Usagi tells them to do it and they all transform into Sailor Moon, Sailor Mercury, Sailor Jupiter and Sailor Venus. Sailor Mercury and Jupiter summon their sword and spear weapons that they had used in their last battle and Sailor venus draws the Mars and Venus daggers that were previously used by Sailor Mars. Together the four of them deflect Mio's projectiles back at her and then perform a new super powerful move, the Sailor Planet Attack which completely destroys Mio once and for all! Back in the new Dark Kingdom all the balloons that had been holding people's energy burst as the energy returns back to where it had been taken from. Sailor Moon, Mercury, Jupiter and Venus then revert back to their civilian forms as their transformation items fade away. 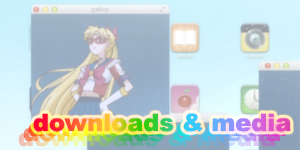 Usagi says that it's for the best and Minako nods in agreement. Makoto then asks Usagi about the wedding to which she replies that it's back on. Makoto pushes Mamoru into Usagi and everyone claps and cheers. Next week the wedding is a huge success. Mamoru and Usagi exit the church with all of their friends an family watching. 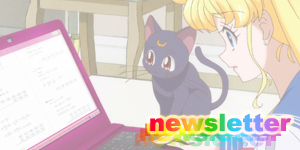 Rei is out of the hospital and Naru and co are also present as well as Usagi's never before seen father! As Usagi gets ready to throw the bouquet, all the girls push and shove including Rei and Minako who quickly calm down as they see each other acting immature. Usagi throws the bouquet which flies over the heads of everyone and is caught by... Motoki! Motoki walks up to Makoto and tells her that he thinks they should be next. He then nods at her knowingly to which she replies "Okay". Everyone screams and gathers around them. Mamoru yells out, "Well said!" and Usagi, "Congratulations!" 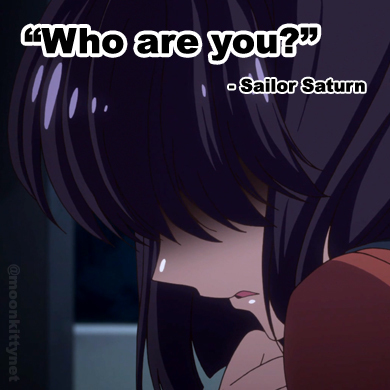 Usagi then realises that everyone is changing and that their childhood and adventures are really over. Mamoru puts his arm around her as they watch all their friends and family. As everyone gets ready to say goodbye, Usagi strikes a pose and removes the white frilly part of her dress to reveal a short white variant underneath! She then gets on Mamoru's motorbike and the both of them say goodbye and ride away. Usagi then imagines passing Ami, Makoto and Motoki and Minako and Artemis on her ride and waves goodbye to them. She then returns to reality, tightens her grip on Mamoru and the two ride into the horizon. Two major characters made their first appearance in this special, Usagi's present father and her past life mother, Queen Serenity! If Chuppi can be considered a character, this was also his first appearance. The Sailor Soldier's powerful manga and anime attack finally made it's way into the live action. 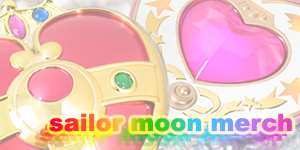 Yes I'm talking about Sailor Planet Attack! 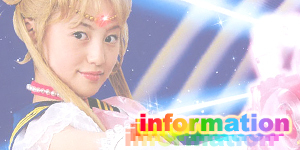 Reports indicated that Keiko Kitagawa (Sailor Mars) had injured her ankle during production. Whether this is the reason the writers decision to remove her from action in this special is unconfirmed though strongly hinted. Personally I like the symbolism in Venus using the two daggers that Mars used in the season finale. 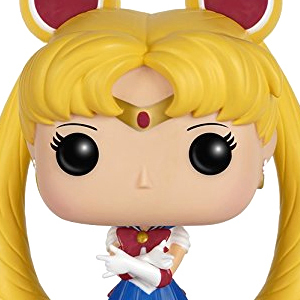 Not many people noticed this but when Sailor Venus first appeared in the series she used to wear several chains attached to her red bow on the back of her head. Apparently these chains kept breaking in the fight scenes and sent beads all over the set. Because of this, they were removed for the rest of the episodes and the part of her transformation sequence that showed her hair colour changing and the chains being added was removed. For the Special Act though they seem to have tried to give it one more try and have given Sailor Venus her chains back and re-added the missing scene from her transformation sequence. The Special Act, as well as the Act Zero DVD were made purely because of how successful the live action Sailor Moon DVDs were selling while the series was on the air. If the show didn't sell well, these two specials wouldn't have been made! A lot of western fans theorised that Usagi was pregnant with Chibi Usa (Rini or Sailor Mini Moon) in the Special Act due to Usagi looking at baby toys and the rushed wedding. The main point of contention though is the scene where Usagi rushes to the toilet when in the restaurant with Makoto. The truth of the matter is that the majority of Asian people have a lactose intolerance and the cakes Usagi was eating were literally filled with cream. She wasn't pregnant. She just can't deal with dairy products very well. Four years had also passes since the season finale. This added with the fact that Usagi and Mamoru were lovers in their past lives shows that they gave more than enough time before deciding to tie the not. A shotgun wedding this ain't.